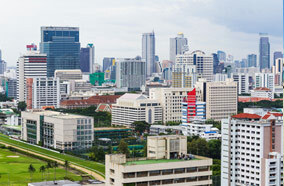 Bangkok is renowned world over as the political, cultural, spiritual, economic, and culinary capital of Thailand. Here you will find both modern amenities and old-world charm. Millions of tourists from around the world visit “The City of Angels,” each year. Explore the best attractions here with the help of our Bangkok City Guide. The city boasts of some of the spectacular attractions such as the Grand Palace, Wat Phra Keo, the Temple of Emerald Buddha, National Museum, the Red Cross Snake Farm, Jim Thompson’s House, and Suan Lum Night Market. The Grand Palace is a beautiful palace in the city. At one point, it served as the official residence of the Kings of Siam and then Thailand. The construction of the palace commenced in the year 1782. Today, it serves as a hotbed of tourist activities. The best time to visit Bangkok is from November through February as it is cool and dry. Temperatures during this period usually remain between the mid-twenties and the mid-thirties Celsius. The humidity is also at its lowest. However, travelers who only wish to soak in the unlimited fun at the beaches and adventures in the city can plan a trip anytime. Sometimes, it is just about your heart and nothing else matters. 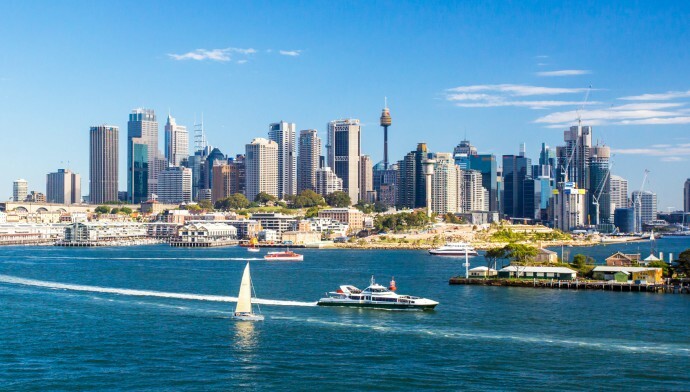 If you have the knack for wild fun, then this is the city for you! Some of the best restaurants in Thailand are found in Bangkok. The city has a wide range of restaurants to satiate every taste. Most of the restaurants are essentially found around Silom Street, Banglampoo or Sukhumivit areas, where most of the tourists also choose to stay. However, the top picks by the locals and foreigners alike include Nang Gin Kui , Chef Bar, Bonita Cafe and Social Club, Water Library, The Rain Tree Cafe, The Reflexions, The Living Room, Chomp, and Apsara Cruise by Banyan Tree. The Living Room is one place where you can enjoy live Jazz music along with your meal. Whether it is Tostada Con Champinones, a dish of truffle flavored wild mushrooms and garlic bread or Tortas de Cangrejo, snow crab cakes, you are set for a culinary delight. Many international airlines operate cheap flights to Bangkok year-round. 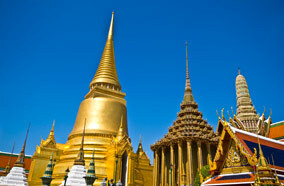 Those who prefer a luxurious travel opt for first and business class flights to Bangkok. Important airlines flying here include THAI, Cathay Pacific Airways, United Airlines, Asiana Airlines, British Airways, China Airlines, Korean Air, Malaysia Airlines and Bangkok Airways. Depending on your purpose of visit, you can choose to fly with one of these airlines. 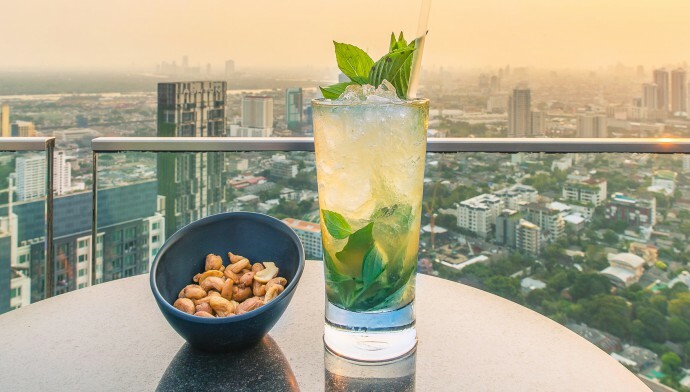 The Thai capital is famous for its amazing nightlife, bars, discos, live music, and even Latin Salsa. The city has a wide range of accommodations available to suit budgets of all kinds. For those looking out for cheap hotels in Bangkok consider visiting Kao San Road and its neighboring areas. It is a wise idea to stay at a hotel that offers discounted stay options. After all, what fun is it to spend a lot on a room where you will sleep in the night for only a few hours? You can rather utilize that money to explore the city, venture out on an adventure spree, or simply eating and shopping.